A GIACC delegation of members of the Atlanta business community traveled to the Annual Convention of the IACC, held in Mumbai, India, on August 22 and 23, 2016. The GIACC delegation consisted of Board member, Anita Ninan, Of Counsel, Arnall Golden Gregory LLP, Board Member Siva Nathan, Associate Professor, Georgia State University, Dr. Pamila Dembla, Executive Director, ICA (“India China America”) Institute and Associate Professor, Kennesaw State University, Kirtan Patel, Commercial Attorney and Founding Partner of Kumar, Prabhu, Patel & Banerjee (“KPPB Law”) and Beeraj Patel, Immigration Attorney, KPPB Law. Our attendance of the Annual Convention of the IACC this year was special, in that the IACC was presenting a life time achievement award to the Late Aditya Birla of the Birla group of global companies. Atlanta’s connection to the Indian Birla group of companies began with the group’s acquisition of Novelis, in 2012. On the first day of the Convention, Anita Ninan presented a commemoration letter from Mayor Kasim Reed to the wife of Late Aditya Birla, Mrs. Rajshri Birla, who attended a special invitee only dinner and reception presided over by the Governor of the State of Maharashtra, to accept the award on behalf of her late husband. On the second day, Anita Ninan made a power point presentation on behalf of the GIACC, introducing the members of the delegation, and sharing key points that make Atlanta and the State of Georgia an attractive foreign investment destination for Indian companies. The presentation was well received and we had inquiries from attendees about investment opportunities in Atlanta, GA.
After the two day Convention, the GIACC delegation had meetings with actors, producers, directors, and well known Bollywood film studios, arranged by the Indian Consul General, Atlanta, to present the opportunities and incentives that Atlanta and the state of Georgia offers for film production. The GIACC delegation visited and met with Western India Film Producers Association (WIFPA), Yashraj Film studio (YRS), Film and Television Institute of India (FTI), Sangli Shikhan Sanstha(Sanghli) and Deccan Education Society (DES), Pune. The purpose of these meetings was to invite them to a "Bollywood Meets Georgia" film festival that is being planned for April 2017. The film festival will aim to bring together Bollywood and Georgia film makers in Atlanta to showcase the financial incentives, production resources, professional support and location diversity to Bollywood film makers in the hope of attracting their business to Georgia. The delegation received an enthusiastic welcome from the film associations for the film festival while the educational institutes were keen to collaborate with ICA Institute and Kennesaw State University for film production and training. The Georgia Indo-American Chamber of Commerce invites you to our GIACC Night at Turner Field. Consul General Nagesh Singh will be the Honorary Braves Team Captain, and he will go to the plate with the representatives of both teams as they present the lineup cards to the umpires before the game starts. We will have a private reception with Consul General Singh and the GIACC Board starting at 5:00pm in the 755 Club. Everybody will pay for their own food and beverages. We will have access to the 755 Club during the game and group seating just below the 755 Club. Bring your clients, employees, friends and family for this evening of Braves baseball and networking. Our last Braves outing had over 120 attendees so make sure you get your tickets soon. Tickets may be picked up at the registration table near the Hank Aaron Statue to the left of the 755 Club Entrance. Register by clicking here or the flyer below. Go Braves! (b) a copy of current valid passport. If applications are sent by post, the above documents may be notarized and submitted. 2. The deadline for the conversion from PIO cards to OCI cards is June 30, 2016. 3. Until applicants are in receipt of an OCI card issued in lieu of PIO card, they could travel to India with their valid foreign passport and valid PIO Card. Those who have already travelled to India on their PIOs and still in India, they are advised to contact their respective FRROs for latest instructions regarding travelling on their PIO card after June 30, 2016. 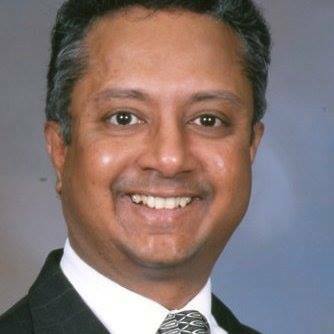 It is with deep sadness that GIACC reports that longtime friend and board member, Dr. Narsi Narasimhan passed away on April 29, 2016 of a cardiac arrest. He was a leader, connector and friend to all. Dr. Narasimhan will be missed dearly by GIACC and the entire Atlanta community.